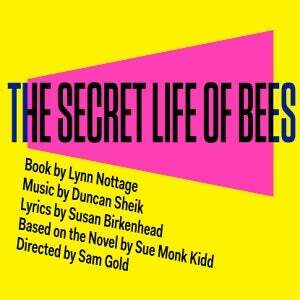 Atlantic Theater Company continues its 2018-2019 season with the world premiere of new musical The Secret Life of Bees, directed by Tony Award winner Sam Gold and featuring a book by two-time Pulitzer Prize winner Lynn Nottage, with music by Tony & Grammy Award winner Duncan Sheik and lyrics by two-time Tony Award nominee Susan Birkenhead. The musical is based on the best-selling novel by Sue Monk Kidd. Atlantic Theater Company has announced a 1-week extension for its upcoming world premiere of The Secret Life of Bees, a new musical featuring music by Tony & Grammy Award winner Duncan Sheik, lyrics by Tony Award nominee Susan Birkenhead and a book by two-time Pulitzer Prize winner Lynn Nottage, based on the best-selling novel by Sue Monk Kidd. Directed by Tony Award winner Sam Gold, performances begin at Atlantic's Linda Gross Theater on May 12, ahead of an official opening on June 13 and a limited engagement now running through to July 14, 2019 (instead of July 7).